Today is my first time to go to Kal Tire. I went there because my brake makes squealing noise when pressed down. I also got my 4 tires rotated and a broken tail light replaced at the same time. The mechanist, Steve, is very helpful and very patiently explained the conditions of my car to me. I expected the excellent service would be around $100 bucks, but very surprisingly, they only charged me $12 for the cost of tail light and labour. I asked why they didnt charge any thing for the tire rotation and brake inspection. They simply told me it would be a free service for any tire replaced at Kal Tire, and even though my tires were not purchased here, they hope I would do that at Kal Tire next time. I am very satisfied by their professional service and their business goal to maintain a good long-term relationship with their customers. I would definitely go there to do all of my routine maintenance and tire replacement in the future. Highly recommended Kal Tire to anyone who doesnt want to be ripped off and forced to buy any unwanted products/service by the car shops. Very disappointed. Dont understand the meaning of customer service. I bought snow tires here and store our tires there as well. Last night I noticed a nail in one of our tires. We were planning to drive to the Interior today to meet our new grandchild! Arrived at Kal Tire at 7:30 this morning to have tire repaired before we "hit the road". They couldnt promise to have the tire fixed before Noon!!! 4 1/2 hours!?!?!? I called the Langley location and they told me to bring the car over and they would do their best to get us on the road in 90 minutes. Yes, Langley location is 15 minutes from home but they clearly understand Customer Service. Fleetwood location needs to take a lesson from the team in Langley!! Very Impressed with the service I received at this location. After having trouble getting the right parts for my car and the technician not being satisfied that everything was fitted right after multiple test drives. Alin and his team stayed after hours to make sure the job was done right and I could get my car back that day. Even after all that was said and done it turned out that Id dropped my phone in store. Alin was able to contact my girlfriend and waited even longer after hours for me to come back and get my phone! Alin and his team went above and beyond for me. They are a credit to the company. Had the pleasure of visiting Kal Tire today to have a tire repair (yet another nail found my tire). Dropped in with no appointment but they were happy to assist anyway. The Manager Jeff Konkin and staff are very personable and professional. 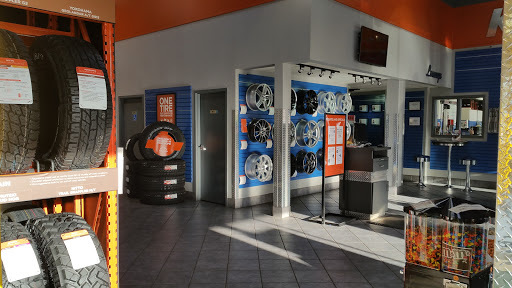 I will definitely be back to purchase new tires when my vehicle requires them and wont hesitate to recommend Jeff and his team whenever the occasion to arises. Thanks again for your outstanding service!! The best customer service as usual! Purchased my snow tires and got them installed, fast without worry. I really appreciate the outstanding customer service I have enjoyed over the last 12 years. It doesnt matter which location you go to, as they all have the same mission.. to exceed our expectations and get us travelling safely down the road again. Thanks Kal Tire! ...see you in the spring for my tire changeover and brake job! Customer service at this Kal-Tire is amazing. They always look out for my best interests, and help whenever I need things (Torquing, tire fillup, inspection), very organised and always on time. They also always try to find time, even if there isnt an appointment slot open. Took 3 hours and $33 to plug a non mounted car tire. They didnt even offer to re-mount the tire. I could understand if it was busy.. but two bays labeled tires were empty for atleast 20 minutes. Used to love Kal tire service! One less customer to worry about. I went there because I run through screw in 104th street. I went there and the staff was very accommodating. As I was prepairing to pay for the service, Alin told me that theyre giving me the service for free. I was actually shooked. I rate this 5/5! Great customer service, wasnt comfortable with the suggested tires after driving for a day, went back and they ordered in the factory tire and replaced at no extra cost and had me back on the road in mins. Much appreciated thanks guys!! Customer service here is great. Tim, the assistant manager helped us out with my flat tire today, and I couldnt be happier with how I was treated, and how quickly they got me back on the road. Will return 100% - Thanks Tim! The Fleetwood Kal Tire is great. They were able to fix up my flat tire. Im always hesitant getting my car done at shops but these guys truly look out for your best interest. Awesome customer service but the time it took to fix the things on my truck took way too long which caused me to miss part of a family vacation. Helped quickly fill our tires even though they were busy. I suggest making an appointment for more serious issues. They fixed a nail in my tire for free, awesome service and very fast. We have always had great service at Kal Tire. Repaired my tire for free. Great service. They even had donuts and popcorn in the lobby while I waited. Great service, will hopefully not be back, but if I need service, this will be the first place I go. Fast, friendly staff. The staff will answer all of your questions and provide sound advice. Dropped tire off for repair. Fixed. Excellent friendly service. The staff were friendly and helpful. I will go back. Excellent and fast service. Highly recommended. Quick, friendly service. Great job as always! Great tire place with helpful staff. Awesome staff. Fast and efficient.